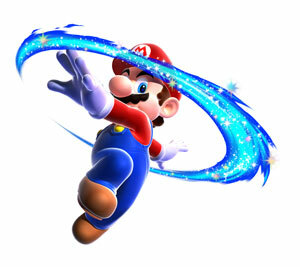 Mario, the protagonist of the game. Mario is the greatest hero in the entire Mushroom Kingdom, a plumber who's traded in his wrenches for travel to the far-flung corners of the universe. In his latest adventure, Mario must chase his nemesis, Bowser, across the cosmos to rescue the fair Princess Peach. While soaring through the heavens, Mario encounters all the fantastical wonders of space, from strange comets to imaginative planets. He must also wrestle with one of the greatest forces in the universe: gravity. If Mario can use gravity to his advantage, he might stand a chance against the tricks and traps Bowser has left in his wake. 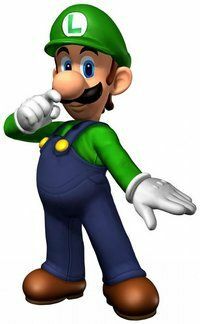 Luigi is Mario's younger brother. In the game, you will first meet him in the Ghostly Galaxy. After you save him, he'll be able to find stars. But you'll have to save him every time to get the stars he collected. Luigi has always been in Mario's shadow, but after you beat the game with 120 stars, you will be able to play as him! Luigi is basically like Mario except he can jump higher and it is harder to get him to stop when he is running. 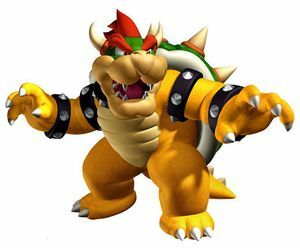 The Evil King Of Koopas, Bowser. Bowser is the great fire-breathing villain of the Mushroom Kingdom, a dastardly creature bent on capturing Princess Peach and taking control of the kingdom for his own nefarious means. He commands a vast army of Goombas, Koopas, and other nasties that do his bidding without question. Mario always manages to save Princess Peach from Bowser and stop his schemes, but the brute never learns. Perhaps if Mario finally corners Bowser in the heart of the cosmos, he can pound a little sense into the scoundrel. 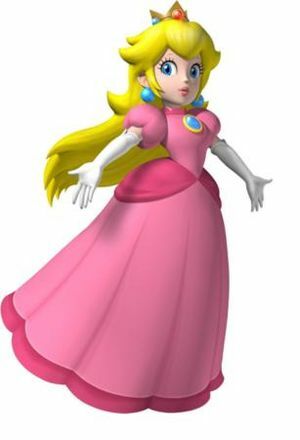 Princess Peach, benevolent ruler of the Mushroom Kingdom, has been friends with Mario for years. In her times of need, Peach can always rely on Mario for help. When Bowser kidnaps Princess Peach and steals her across the galaxies, she is separated from the trusted Luma. Hopefully, the Luma will help Mario rescue her from Bowser before the fiend can hatch whatever grand plot he's cooking up aboard his incredible fleet of airships. 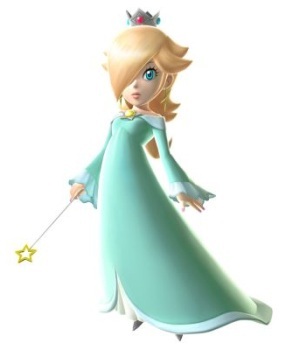 Not much is known about Rosalina, the lonely princess who wanders the cosmos in the Comet Observatory, a giant starship that travels the celestial expanse. She is a great friend of the Luma, taking them in and caring for them as if they were her children. But there is a sadness behind her eyes. What has she lost out among the stars? This elderly Luma is Rosalina's most trusted adviser. He knows all about the observatory, and if you speak to him, he will show you a map. Toad lives in Mushroom Kingdom. He is Princess Peach's friend and becomes the leader of the Toad Brigade. He and his friends assist Mario in their toad space ships. Bowser Jr. is the Evil son of the Evil King of Koopas, Bowser. Before Super Mario Galaxy, Mario first met Bowser Jr. during his crazy adventure in the Isle of Delphino. You will see this little devil aboard his own little airship in the game. He often brings his own minions to fight against Mario. But as usual, they fail in trying to destroy Mario and his fellow allies. This page was last edited on 27 May 2015, at 14:33.